Nathan Cuneen’s Cherry Blow Dry Bar franchise website(s) and Facebook page are making big claims about the franchise opportunity they say will soon be spreading like wildfire across the U.S. Despite the fact that there are no Cherry Blow Dry Bar salons in existence, and despite the fact that Nathan Cuneen is promoting his nearly $200K franchise opportunity using a computer generated, 3D model of what he claims his hair wash-and-dry business will one day look like, Cuneen and Blow Dry Bar United States LLC claim that hundreds of their salons will open across the U.S. in the coming months. In the course of writing two initial posts on Cherry Blow Dry Bar ( ) we can’t say we’ve yet determined who is telling the truth. 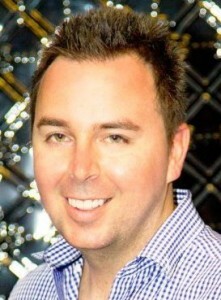 However, we have come up with a bunch of questions that we have emailed Cherry Blow Dry Bar founder Nathan Cuneen. It is the policy of UnhappyFranchisee.Com to seek out both sides of controversial franchise issues so that our readers can make more informed franchise buying decisions. In the course of investigating warnings posted about you and your Cherry Blow Dry Bar on the Internet, UnhappyFranchisee.Com compiled a dozen questions for you about the past track record of Blow Dry Bar in Australia, and your Cherry Blow Dry Bar franchise offering in the U.S. While some of these might seem like tough questions, we will post your responses in their entirety, without editing, with the same prominence as any criticism that might be posted about your company. 1) Where is your franchise headquarters? Your Facebook page says 400 Rodeo Drive, Beverly Hills, California 90210, but your press release was issued from Manhattan, NY, and your first location is listed in Tallahassee, FL. Your trademark application lists your company as a Nevada LLL with a Sydney, Australia address. Do you have a corporate office? 2) Which registration states are you currently approved in? Can you please send your current Franchise Disclosure Document (FDD) us at UnhappyFranchisee[at]Gmail.Com? 3) Am I correct that there are currently no Cherry Blow Dry Bar units in operation? What stage of development are the Beverly Hills, Manhattan, & Florida locations in currently? Do you have leases signed? Projected opening dates? 4) Your website states “Not surprisingly the model has become a massive success, with hundreds of Cherry Blow Dry Bars scheduled to open in coming months across the United States.” How can you state that the concept is a massive success when the Cherry Blow Dry Bar hasn’t yet established an operating unit in the U.S. market? 5) What is the current staffing level of the Cherry Blow Dry Bar franchise development & support team? Is opening “hundreds of Cherry Blow Dry Bars” practical (or responsible) when you opened less than two dozen in 5 years in Australia… and haven’t opened a single unit yet in the U.S. market. What is the team that will support hundreds of franchise openings in the coming months? 6) You have claimed that the person posting warnings about you is “a former licence holder (Not a Franchisee) who was terminated due to un-ethical behaviour,” and that you are “ happy to provide further information and the actual police records of this particular person.” Could you please send that information and those documents to us at UnhappyFranchisee[at]Gmail.Com? 7) When and why did you switch from a licensing agreement to a franchise agreement for Blow Dry Bar? Are the 23 Blow Dry Bar locations run by franchisees or licensees? When you write “the chain has had perfect success with franchisees,” does that claim hold true for licensees too? 8) Your critic has accused you of “churning” locations (replacing franchisees or licensees with new owners who pay new fees). Can you provide us with the contact information of the owners who invested but have left the Blow Dry Bar system? 9) Your critic(s) have said that the vast majority of current owners are unhappy and mired in debt. Is this true? Can you provide us with contact information for all owners? Are they under any legal restriction prohibiting them from speaking negatively about their experiences? 10) One of your franchise solicitations states “There is currently availability in every market across the United States.” Surely every market and demographic mix could not provide a steady stream of customers for $35 blow dries. What are the market and site locations requirements for the Cherry Blow Dry Bar franchise, including population, income and demographics? 11) Your fees ($30,000 franchise fee, 7% royalty, 2% advertising) are as high or higher than many established franchise companies that have proven track records, training centers, experienced support staff, established systems and procedures, and real estate and site selection criteria that’s been refined through years of experience. How do you counter the criticism that you are saddling new franchisees with the burdens, but not the benefits, of a mature franchise system? 12) On a lighter note: When you came to the U.S., did you bring your Ferrari with the Stradale carbon fibre kit and exhaust with you? That is, by any standard, a sweet car! We look forward to your response, and to learning more about the Cherry Blow Dry Bar franchise opportunity. ARE YOU FAMILIAR WITH THE BLOW DRY BAR FRANCHISE OPPORTUNITY, WITH CHERRY BLOW DRY BAR OR NATHAN CUNEEN? PLEASE SHARE A COMMENT BELOW.